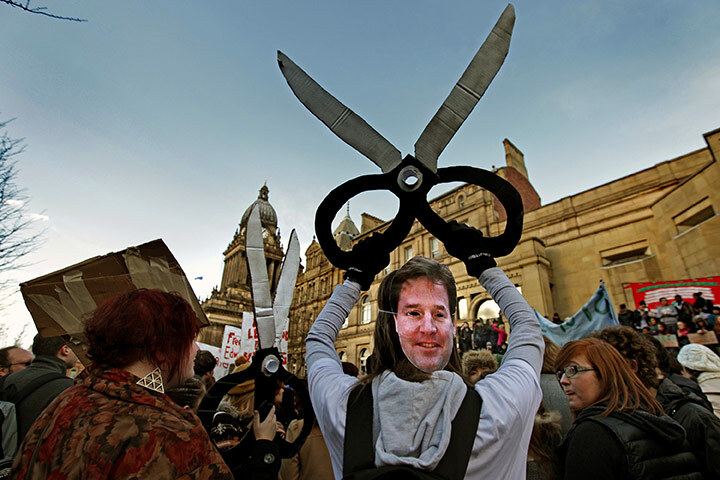 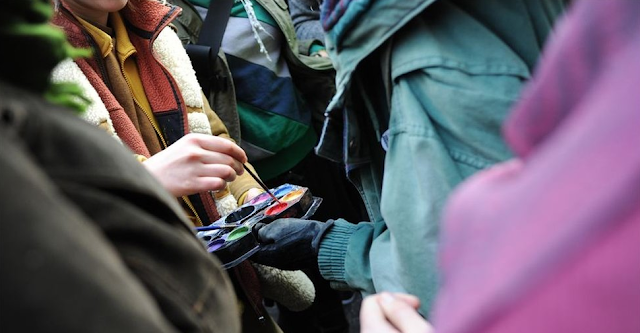 LookSeeNow: Direct action gets results? 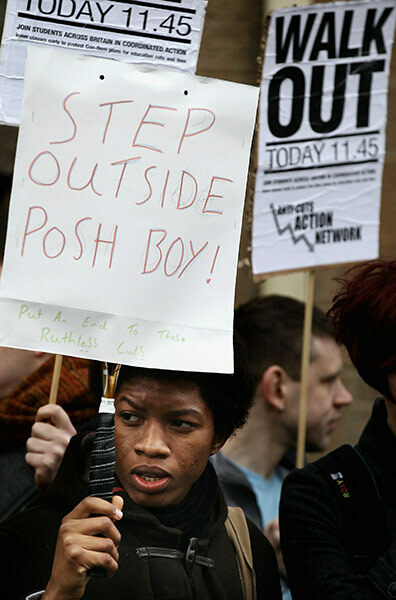 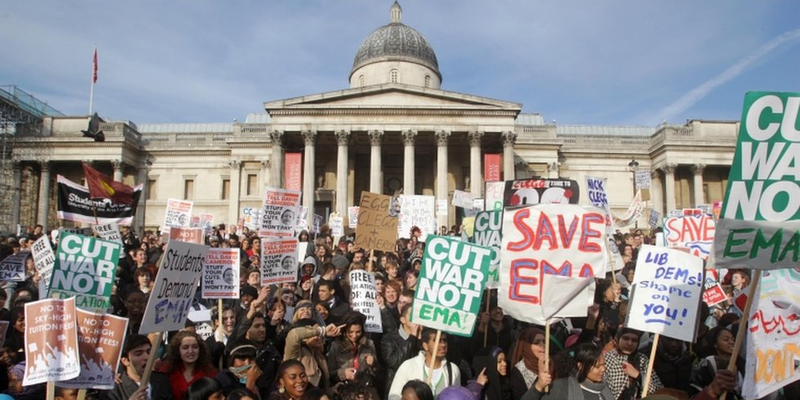 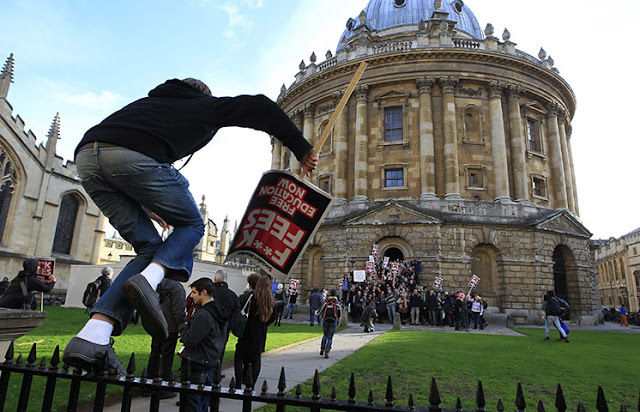 Today saw the second student protest in 2 weeks against the escalation of university tuition fees in the UK. 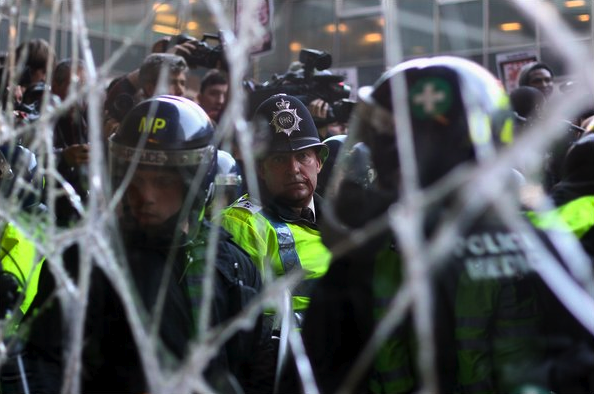 It was hoped that todays event would be a peaceful one and that the scenes from the 10th November 2010 would not be repeated. 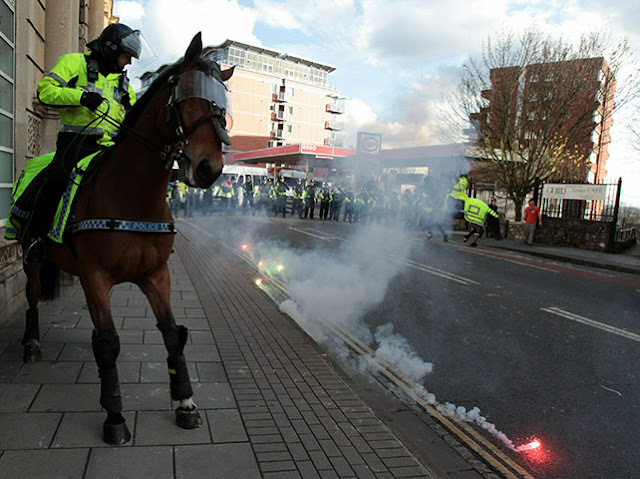 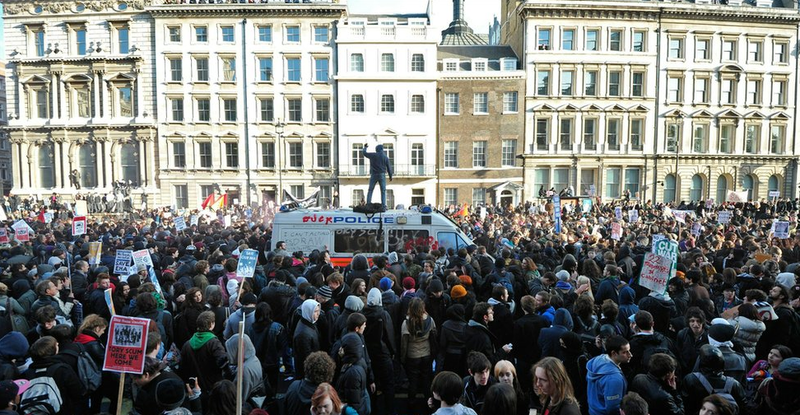 At this time, students are still on the streets and there are reports that the police kettle is still in action. 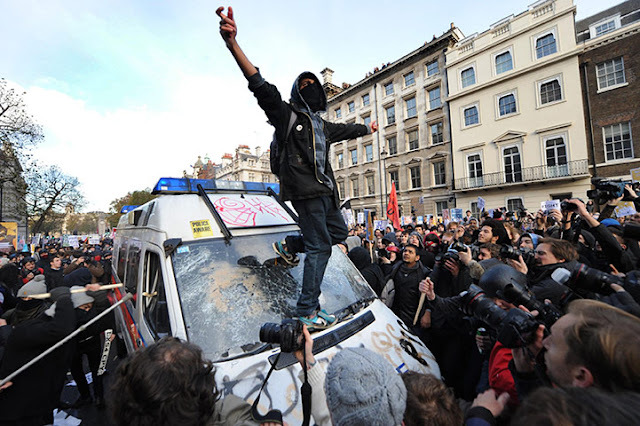 Check BBC News and The Guardian for for full story as it happens. 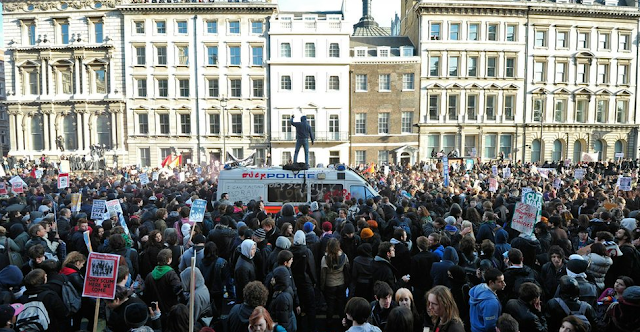 Pictures from London and around the UK are quickly being put out through the news and online. Here's my selection of what's out now. 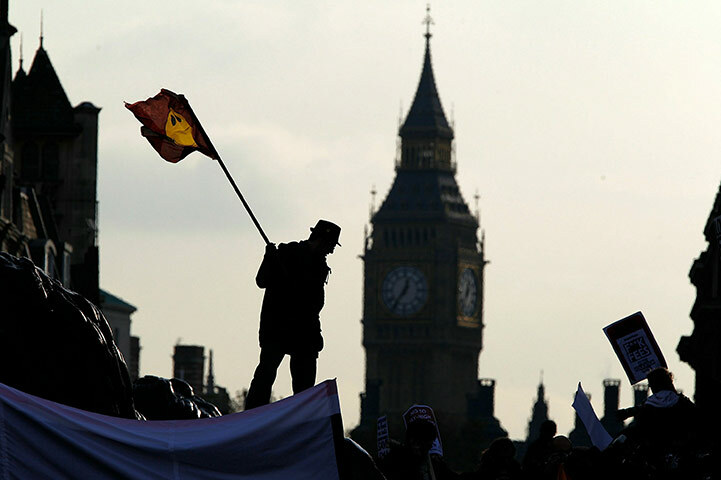 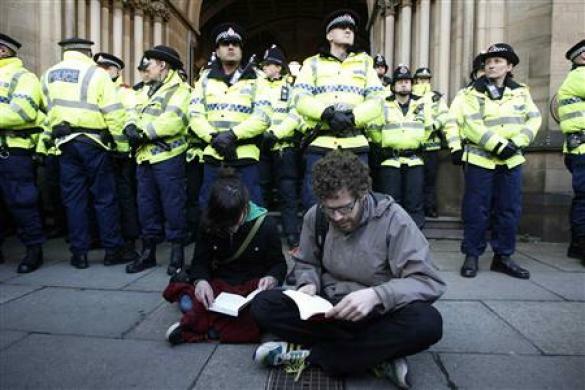 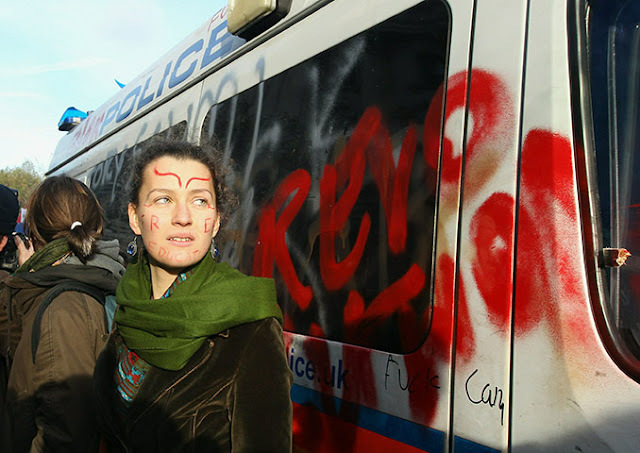 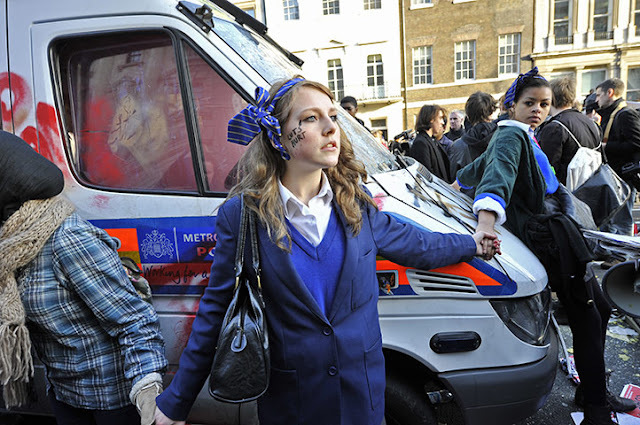 Protesters sit in fron of police officers during a demonstration in Manchester November 24, 2010. 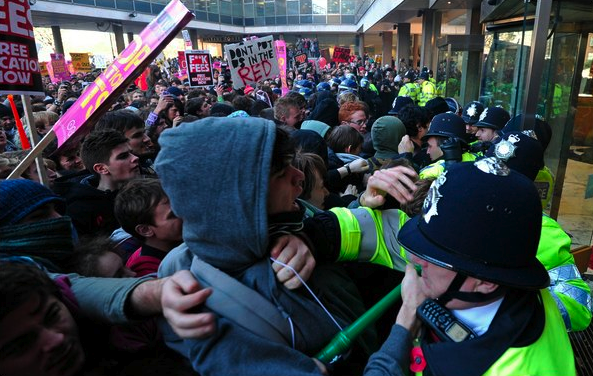 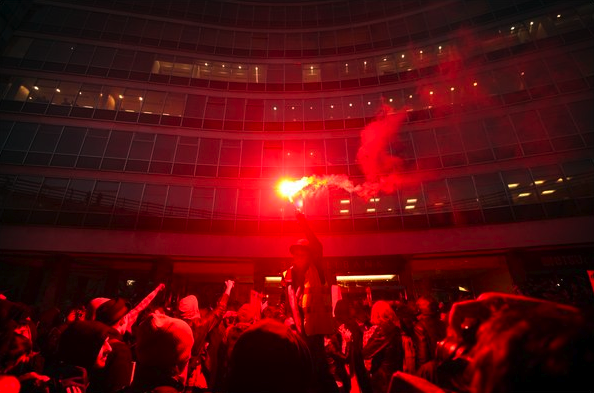 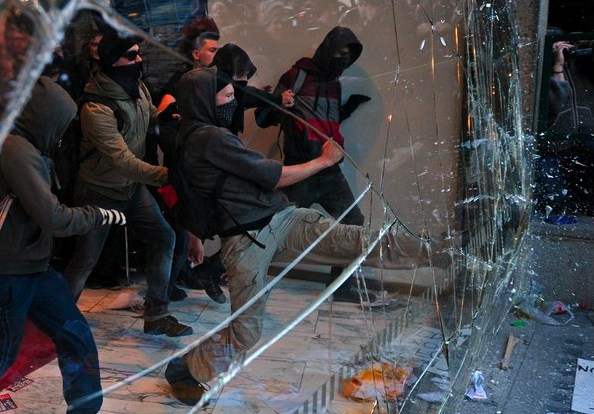 A group of protesters, attempt to storm the building that houses the Conservative Party. 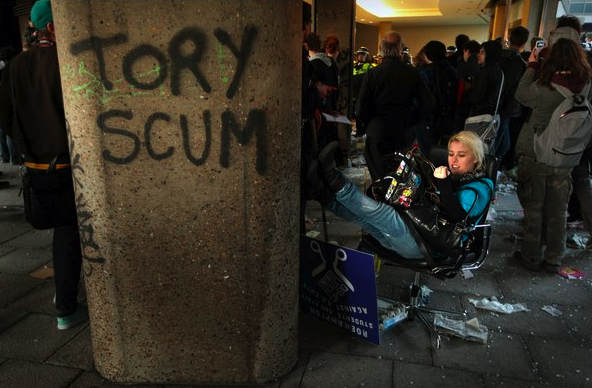 A protesting student sat in an office chair outside the beseiged entrance to Millbank Tower. 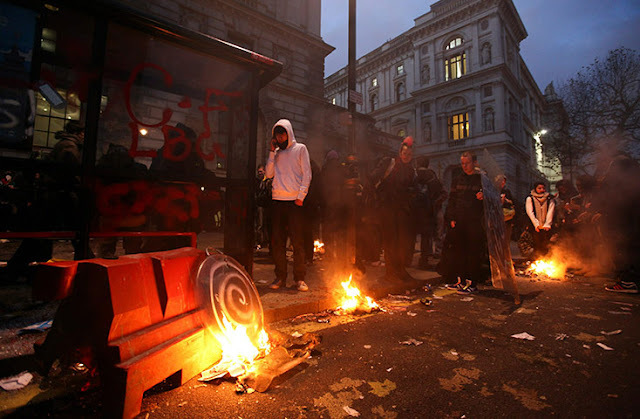 Images sourced from Reuters, BBC News, The Guardian and The New York Times.